Pakistan inherited the Durand Line Dispute and the enmity of current Afghan rulers against Pakistan due to Indian friendship is as much old as Pakistan. However, despite of all this Pakistan continued to help Afghanistan to resolve its problems due to the similarity of traditions, culture, neighborhood and religion. The important help extended to Afghanistan is the excess given to the external world for trade, food especially easing the laws for transfer of wheat. Whatever the reason was, Afghan rulers cannot deny this reality that Pakistan supported Afghan resistance of Mujahideen putting its own integrity at stack against Soviet Union. As the result of Soviet invasion, more than 50 million Afghans migrate to Pakistan, Pakistan welcomed them and treated them with the similar respect as its own citizens. Ironically, after defeat of Soviet Union when US invaded Afghanistan with International coalition under the garb of 9/11. After US invasion, India got the chance to gain foothold in the Afghanistan. India exploited her presence in Afghanistan as second battle field against Pakistan by giving access to US to her economy. India established a terrorist wing by hiring criminals, youngsters having anti-Pakistan mentality and immature underage boys from the tribal areas of Pakistan. Indian brainwashed them and these terrorists were given the name of Tehreek Taliban Pakistan (TTP). World for a long time considered them as a wing of the Afghan Taliban created by US. While this was established by India to hit the integrity of Pakistan organized in professional manners. After ten years long struggle against terrorists, Pakistan army decided to launch Operation Zarb-e-Azb against the terrorists as a final blow to the Indian sponsored terrorists. India and other foreign supporters of terrorists were hoping that Pak army would not be able to clean sweep their terrorists. Under the leadership of General Raheel Shareef, Pakistan army destroyed the terrorists from narrow valleys and tribal areas. After cleaning the tribal areas from terrorists when the quantity, capability, and the structure of the modern weapons recovered from secret hideouts was disclosed; world got astonished. How terrorists got the weapons worth of trillions of rupees, who provided funds to the terrorists, who trained the terrorists? Despite of availability of the answers to these questions, they still need to be answered because they have not been discussed openly on media or other forums. Pakistan army destroyed Indian terrorists known as TTP hidden in Pakistan brutally; they did not get anyway to hide except fleeing to their sponsors in Afghanistan. In order to secure her interests in India, USA continued to demand to DO MORE from Pakistan. The hypocrisy of US policy becomes clear from the fact that on one hand she appreciates the achievements of Pak Army in Zarb-e-Azb while on the other hand she blames Pakistan for unrest in Afghanistan. USA is aware that terrorists infiltrated from Afghanistan played with the blood of innocent Pakistanis. 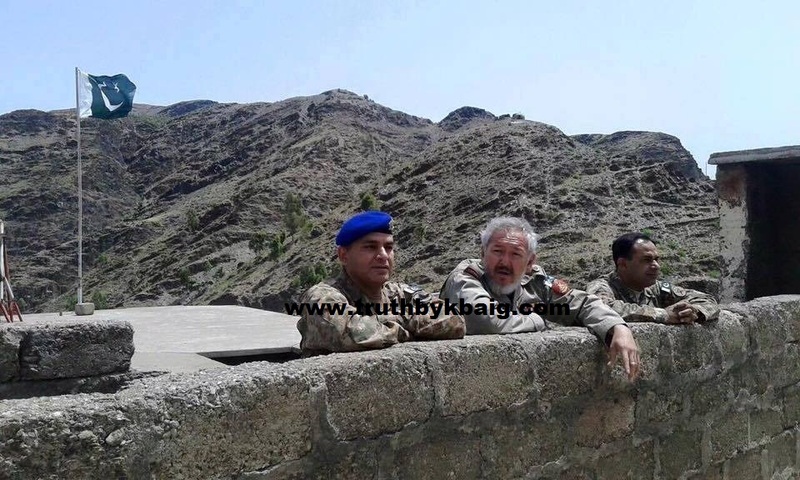 Despite of all this, when America and Afghan officials blame Pakistan for the situation in Afghanistan in order to defame Pakistan on the international level than the only way left to Pakistan is to seal the Afghan border in order to stop the free movement and put it under the control of law. In this regard Pakistan, decided to construct the gate on the Torkham border, in this regard the consent of Afghan officials was secured through negotiations. When the construction started, Afghanistan started unprovoked firing in which an officer of Pak-Army Major Ali Jawad Changezi was martyred. Pakistan army gave a befitting reply and attributed the gate to the Shaheed Major Ali Jawad Changezi. 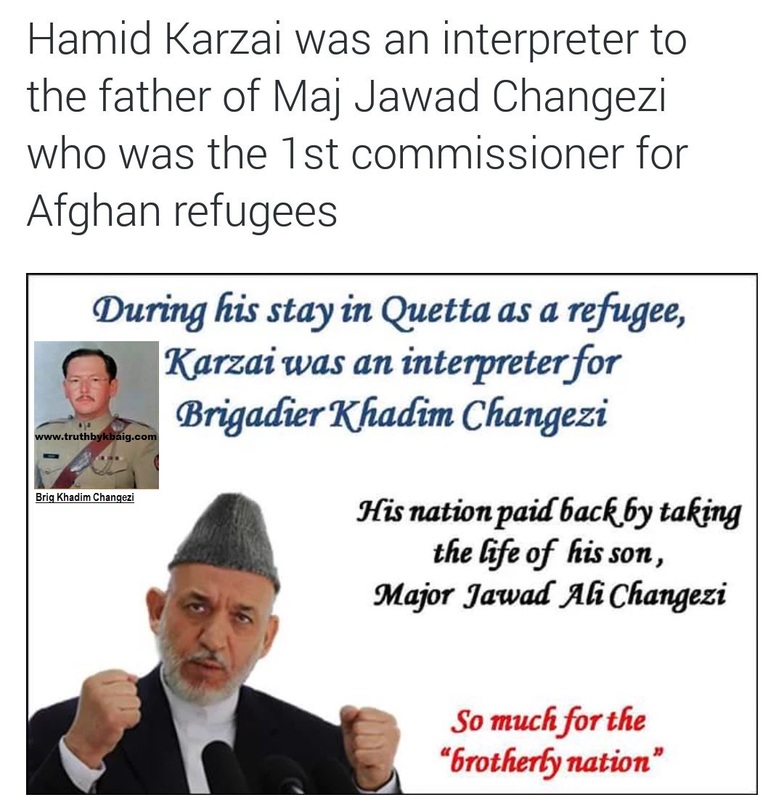 Moreover, it was made clear to the Afghan govt. that the construction work of the gate would be completed at any cost because this is not the question of US demand for DO MORE but security of Pakistanis for which curfew has been imposed in the Landi Kotal. The trade from both sides has been stopped. The silence of USA on this issue is meaningful; Representative of White House said that US has concerns over the Pak-Afghan tension over the border but she will not play the role of arbitrator. This statement of the US has the summary of the whole situation that USA is angry that Pakistan has not allowed India to become the part of the Nuclear Suppliers Group utilizing friendly ties between friendly countries especially China despite of US support and promise to India. India is worried that after cleansing tribal areas from terrorists, if Pakistan establishes the check and balance system over the border, than Indian terrorists would not be able to infiltrate Pakistan from Afghanistan. If Pakistan succeeds in controlling the terrorism, than the whole attention of Pak army would be over Eastern border and developing professional capability in order to face Indian army. That is why Afghan govt. is continuing the series of threats to Pakistan over the construction of the gate over Torkham border, while Afghan ambassador to the non-diplomatic tone. This shows that the thing known as Afghan govt. is not present in Afghanistan but it is control of New Delhi. The painful aspect of this situation is that govt. of Pakistan seems to be absent on this issue as well. It seems that Pakistani govt. has nothing to do with the issues over the border and it is not concerned about it. That is why that no minister of the govt. or any worth mentioning person from Pakistani govt. was present in the funeral of the Major Ali Jawad Changezi. The martyrdom of Major Changezi has made the whole nation attentive about the Afghan aggression and the whole nation stands side by side to Pak army. Major Changezi was about to be retired in few months. Whether it is officer or soldier, he wills to be appointed to the nearby station of his home or to a big city from where he can plan for a better future of his children when he is about to be retired. In contrast to this Major Changezi chose to be appointed in some operational area so he was appointed to the Frontier Corps Peshawar. How much jolly Major Changezi was, this can be easily imagined from the smile in his picture. He inherited this from his father Brig (Retired) Khadim Hussain Changezi who was himself very simple and amicable person. He was very popular officer of Armored Corps of Pak Army, he belonged to the 14th Long Course of PMA. He commanded 11th Cavalry of Armored Corps and 2 important Brigades as well. 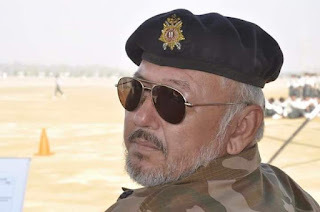 Following his footprints, Major Ali Jawad Changezi Shaheed, joined the Pak Army and started his professional life from the 11th Cavalry after the Passing Out Parade. 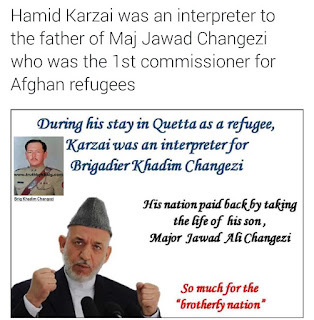 Major Changezi was born in 1969, he got his early education from Saint Francis Grammar School Quetta. 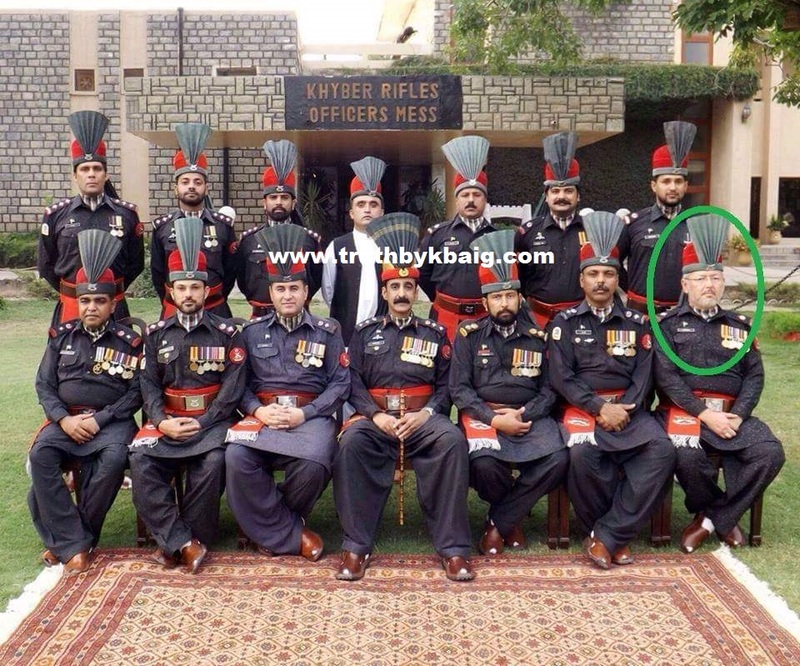 He joined Pak army in 1990 and became part of 89 Long Course PMA. In 2014, he was appointed to the FC (Frontier Corps). He left behind his widow, two daughters, two sons, one sister, two brothers and elderly parents. Published in The Weekly Family Magazine. From 26 June to 02 July 2016.